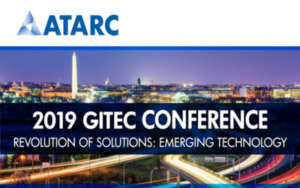 Join ATARC for the first GITEC Emerging Technology Conference since the merger between ATARC and GITEC. This educational symposium held April 28-30, 2019 at the Westin Annapolis will examine the cutting-edge technology enabling the Federal Government to modernize its IT infrastructure. For more information or to register visit www.atarc.org.